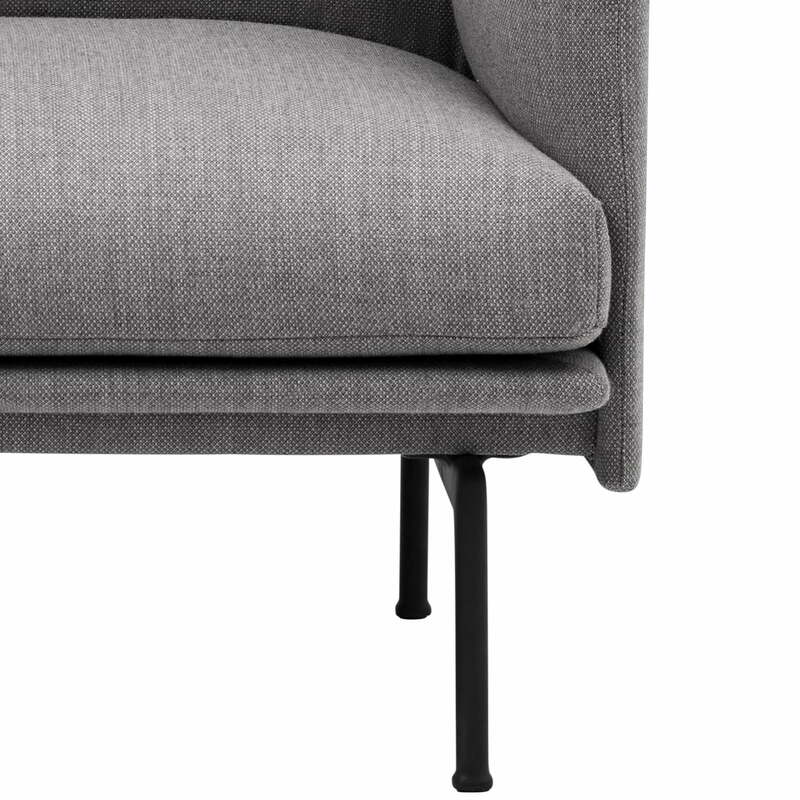 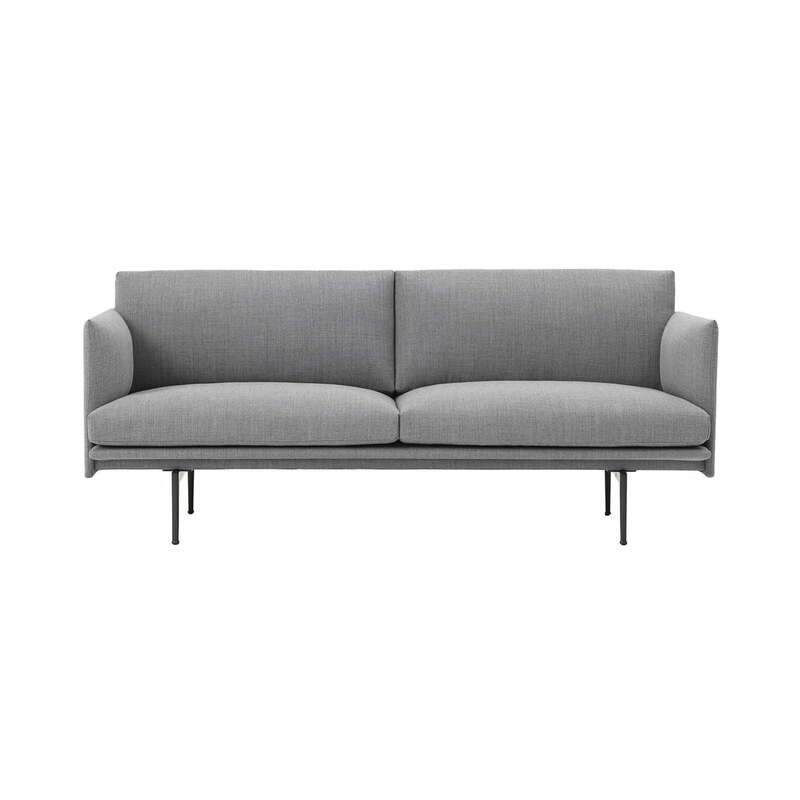 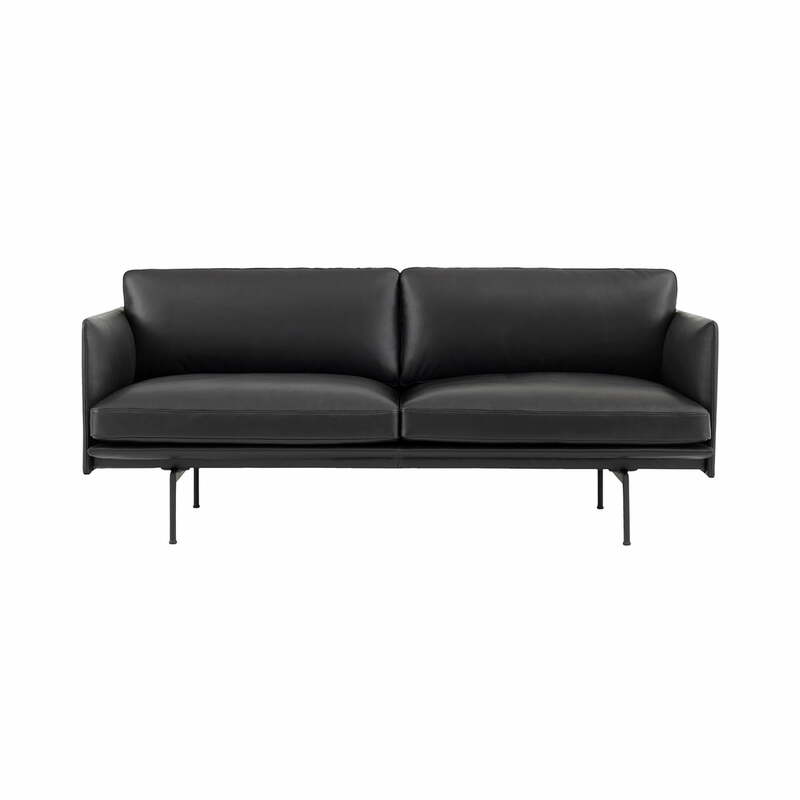 Isolated product image: The 2 seater Outline Studio sofa consists of a frame with feet made of aluminium in black and is upholstered with a black leather cover. Leather or fabric can be selected to upholster the furniture from the Studio series by Muuto. 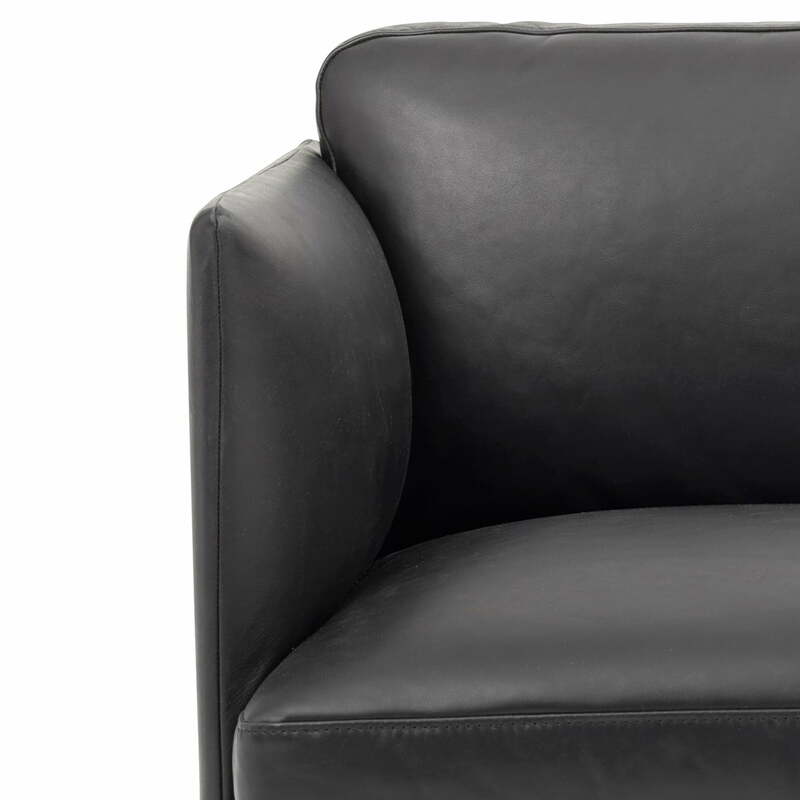 The fabric covers come from the House of Kvadrat or Arve, the leather comes from Camo leathers. 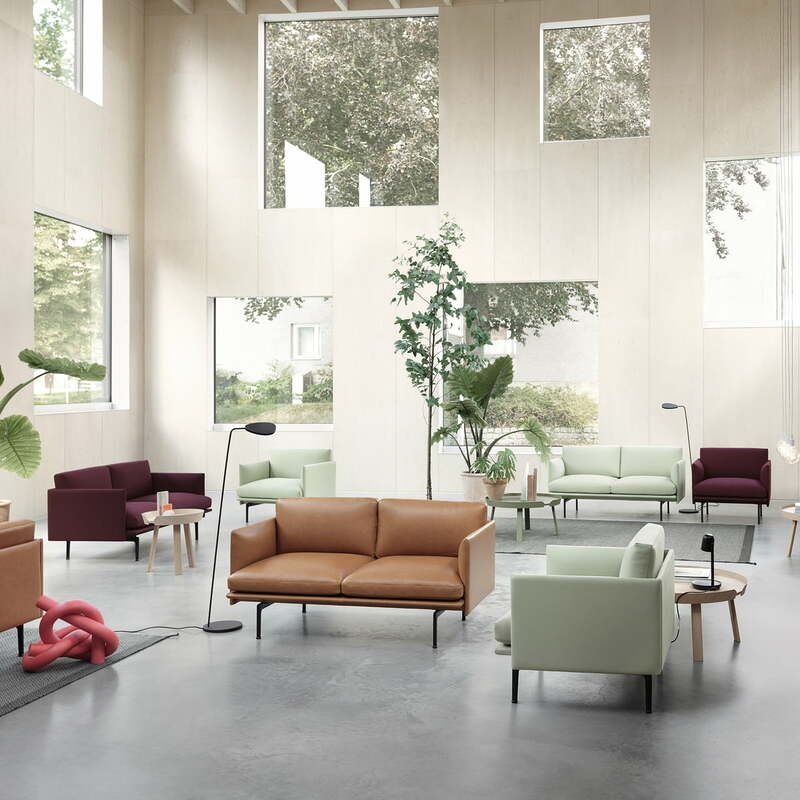 The Outline Studio armchair and the Outline Studio 2 seater sofa seater belong to the series of the same name that consists of upholstered furniture by the designers Andersen & Voll for Muuto. 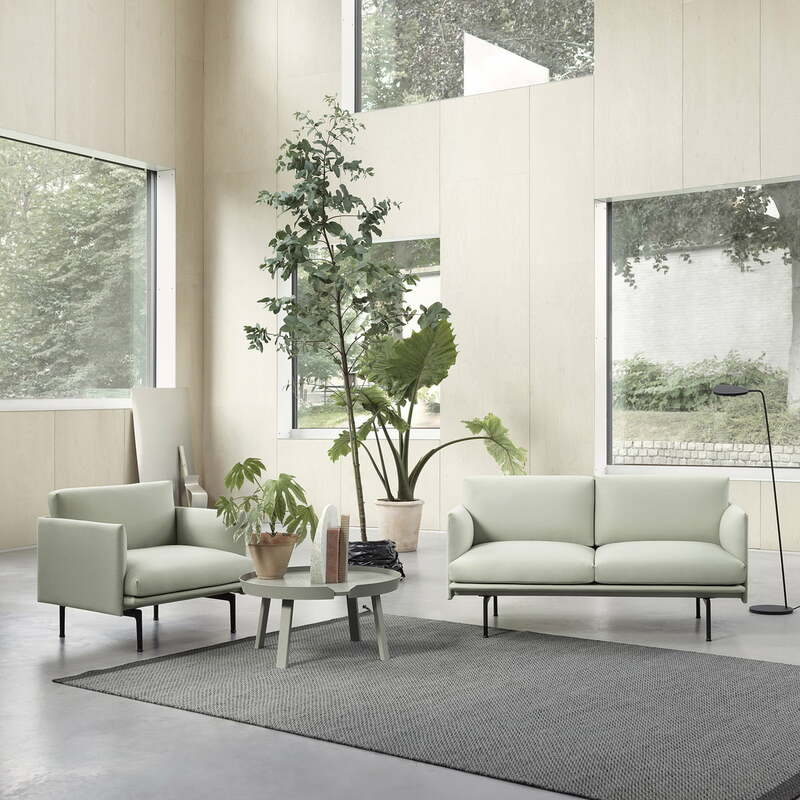 The Outline Studio armchair and the Outline Studio sofa by Muuto are upholstered pieces of furniture with linear frames and slim feet, that fit perfectly in smaller rooms.